Manens-Tifs spa seeks a BIM MEP Coordinator, to join our team in Verona and contribute to a rich culture of excellence. 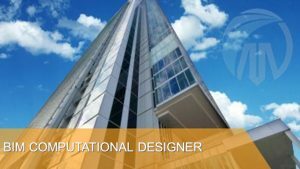 The Building BIM Coordinator (MEP) plays an important role in the design delivery and design integration of projects delivered by the Buildings business. 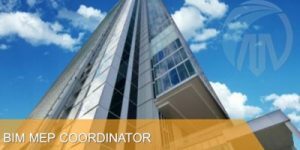 Using technical experience and excellent people skills, the BIM Coordinator will be responsible for the digital delivery of the MEP design for projects. The collective team will produce multi-disciplinary designs and associated deliverables in an integrated and holistic manner using appropriate modelling and associated analytical software; BIM Co-Ordinators play a key role in leading and implementing the design and delivery process. • Develop and maintaining excellent team relationships through successful project execution. • Proficient in English and Italian. • Experience in team adopting Project Management AGILE. ⇒ SEND YOUR CV WITH THE CONTACT FORM! Manens-Tifs spa seeks a BIM MEP Computational Designer to join our team in Verona and contribute to a rich culture of excellence. We are looking for talented people to join our BIM team to continue our focus on deep BIM implementation in our design processes. In return we have opportunities to work on unique and exciting projects, and a stable platform upon which to develop your career. Demonstrate a strong sense of urgency combined with the ability to prioritize tasks and work effectively within a team environment. Willingness to provide references and a portfolio of example work upon request is required. Manens-Tifs spa seeks a BIM Specialist to join our team in Verona and contribute to a rich culture of excellence. The BIM MEP Specialist plays an important role in the design delivery and design integration of projects delivered by the Buildings business. Develop and maintaining excellent team relationships. Proficient in English and Italian. We believe in technical excellence and innovation to pursue new quality levels in the building industry that must evolve towards more sustainable environmental, economic and social models. We are looking for people who are willing to pursue this endeavor with enthusiasm, modesty and dedication. Preferred good knowledge of Italian language.